Also going for S$28++ are their three-course set lunches available Mondays through Saturdays (not including public holidays, of course). I decided to try one set. By the way, I looked up the menus online (under Galley and Grog), and found that they now have two course (S$26.50++) and three course set lunches (S$35++). Maybe they've upgraded the dishes? I was just there last month when it was S$28++. The set lunch menus change regularly, so do check ahead if you are going. 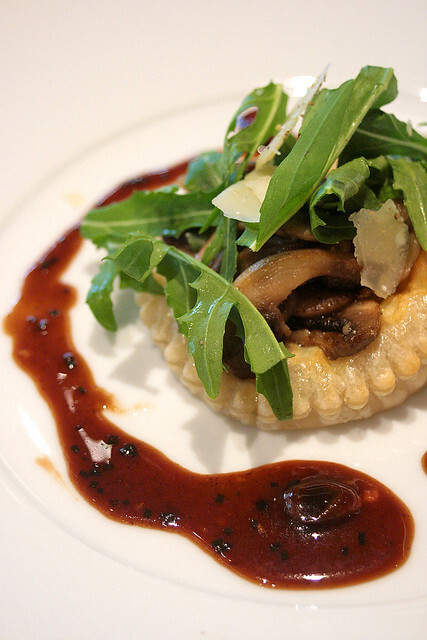 Anyway, for my set lunch appetiser, I chose the Wild Mushroom Tart with Rucola and Shaved Parmesan. It was decent and flavorful but small. I wished there was more to share! 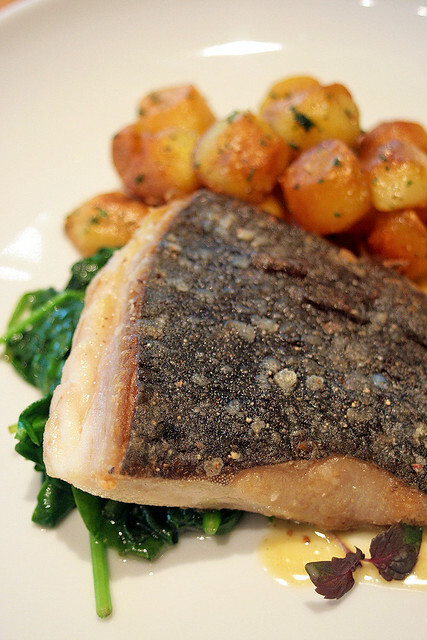 For the main course - Char Grilled Skate Wing with Baby Potatoes, Spinach and Brown Butter Emulsion. I was curious as to how they would interpret this. Singaporeans love to put sambal on stingray and BBQ it, or cook it in curry! Will it be good simply grilled? Alas, this method pales in comparison. The skin was a bit tough, and the flesh had a strong fishy scent to it. Now you know why we smother it in spices, belachan and lime! 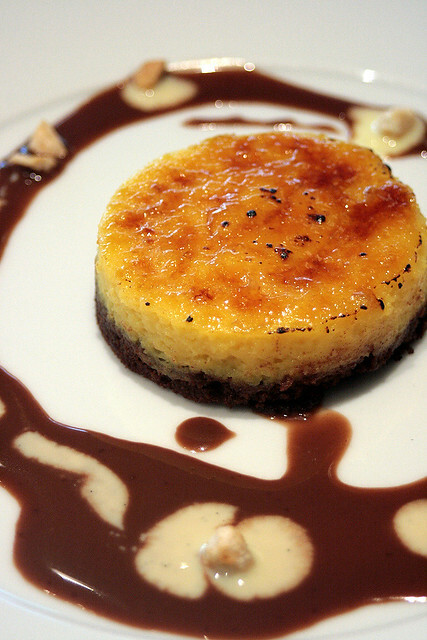 Dessert was "Brulee" Valrhona Passionfruit Tart, Creme Anglaise and Chocolate Sauce. Nice. The tartness of passionfruit cut through the rich tart and sauce. We finished off with a cup of very good coffee. The other good thing about this place is that it's quite relaxing and not crowded, unlike most of the other F&B outlets at ION Orchard. No queueing necessary, and you can enjoy your meal in peace! 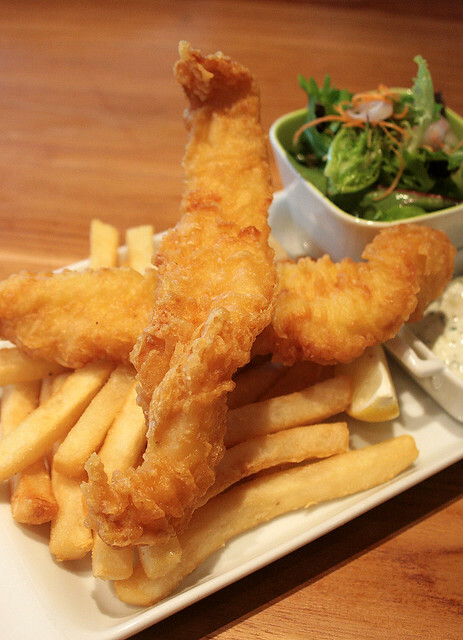 Maybe you want to try fish and chip from Greenwood Fishmarket and Bistro? Ya I had the same feeling too. Good fish but pricey.